Fellowship Square staff accept the Best Community Involvement Program Award. 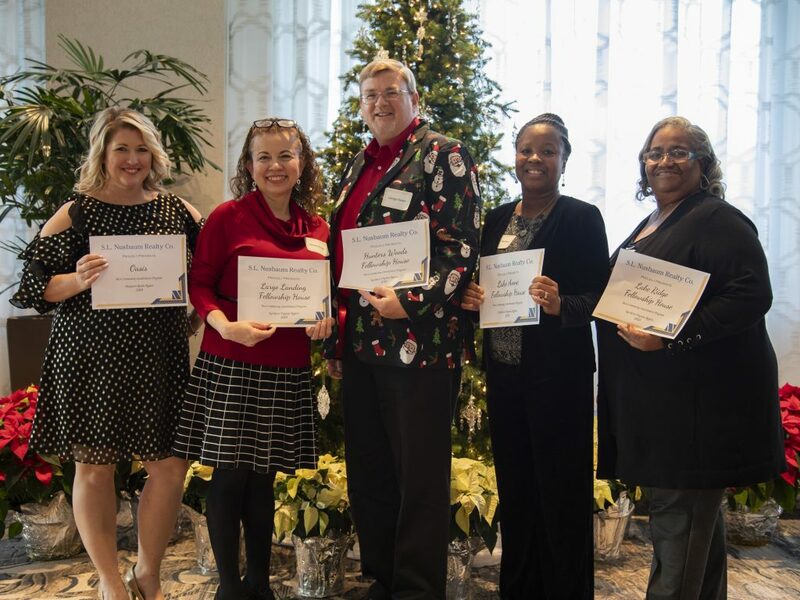 Fellowship Square and its four affordable housing communities in Northern Virginia and Maryland were recently honored with the 2018 “Best Community Involvement Program” Award from S.L. Nusbaum Realty Co., at the national multi-family property manager’s annual awards luncheon in Norfolk, Va.
With 670 apartments serving more than 800 residents, Fellowship Square provides affordable housing and support programs – including pastoral care and counseling – for people aged 62 and older who have limited incomes. The organization’s communities in Hunters Woods (Reston, Va.), Lake Anne (Reston, Va.), Lake Ridge (Woodbridge, Va.) and Largo Landing (Upper Marlboro, Md.) were recognized for building strong communities that connect residents and staff and that engage the surrounding neighborhoods. Affordable housing is a critical issue challenging the Northern Virginia/greater DC region. Yet, the vulnerability of seniors on limited incomes is often overlooked when it comes to housing solutions. Fellowship Square is proud of the work it is doing to providing housing and support services to this vulnerable – and growing – population of local seniors. You can read the full press release here. Congratulations to the Fellowship Square team!